Can’t get it for Christmas? Are you being disappointed by long delivery times? 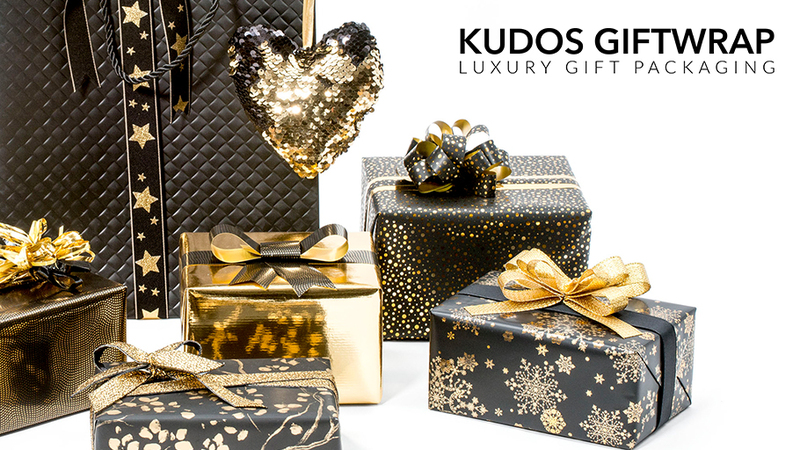 We’re happy to introduce our sister company, Kudos Giftwrap. Kudos has a stock range of Giftwrap & accessories available for all your gift packaging needs. 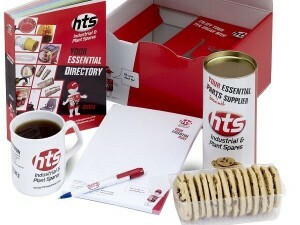 It’s an out of the box solution, to deliver your gifts to clients this Christmas. We know that long lead times at this time of year (end November) means that some companies can’t have their corporate gifts wrapped and delivered in the way in which Marketing teams have designed them. For a lastminute.com fix, try Kudos Giftwrap who have a range of giftwrapping solutions that look great, with short leadtimes on stock ranges. Sweet treats are always a success, but there’s a few things to watch as well as your waist line…! Really you need to be thinking more in terms of when will your sweet-treat look it’s best, and how to deliver it so it does reach your target audience in its best condition. This isn’t just about standard best-before dates, it’s about protecting it’s route all the way from the supplier through to final consumption! You need to consider whether the sweet-treat could be tainted in any way by coming into close contact for an extended period of time – chocolates in silver or paper wrappers (not fully sealed) is the worst example for this. Whether it’s coming in close contact with fresh print in the packaging or whether it’s tainted from other printed items it’s packed in with. Sometimes it is a long time between goods being packed and when they are discovered and enjoyed. Generally fruity flavoured sweets are fine, but chocolate is not! We recommend that the time between goods being packed and the time they are delivered (to the consumer) is 3-5 days – so if you’re sending chocolate you need to arrange for a one-off campaign to be packed and sent in a very short space of time. Alternatively there are ways to seal the sweets or the packaging to avoid tainting. 3. Sending out as a Campaign, or one by one? We recommend a campaign for a number of reasons – for one it makes it easier to track the success, how many people responded, level of new enquiries (we always recommend following up a campaign by email and/or phone, backed by social to gain maximum results) and secondly, you don’t end up with overs on any foody bits that go out of date on you, meaning everyone gets fat eating them up! However, that said, we know that some of our clients like to send out quotes with samples, that simply can’t be done as a campaign. So… we recommend choosing foody gifts that will definitely be in the supermarket and available as one-offs, so you’re not tied by bulk-buying and food going out of date. If you’re going to send out ad-hoc, and even if you’re going to run a campaign at the start, it’s always worth picking a sweet-treat that is a standard size. 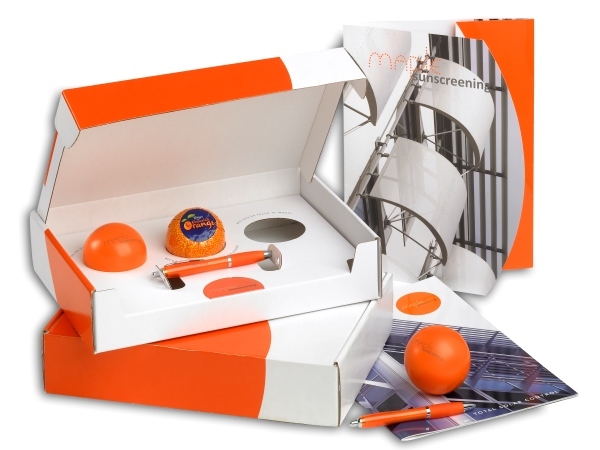 For example, if you’re going to send out a cream egg it’s worth picking a really standard size, so if it’s got a designed slot in your presentation pack then it’s easy to change over to a different type of easter egg if you find you can’t get the same thing. Certain sizes of sweetie bags come in a range of different brands and flavours, but similar size of bag, making it easy to change over (if you had to!). You might want to think about costs too – it’s all very well doing a campaign when you can contact the manufacturer and buy in bulk (and they are pleased to hear from you!) but if you want more for sending out later, you want to be sure that they’ve sold you a standard size that you can easily obtain in smaller quantities. This sounds more complicated than it actually is. It’s just about delivering the right message, at the right time, to the right people. 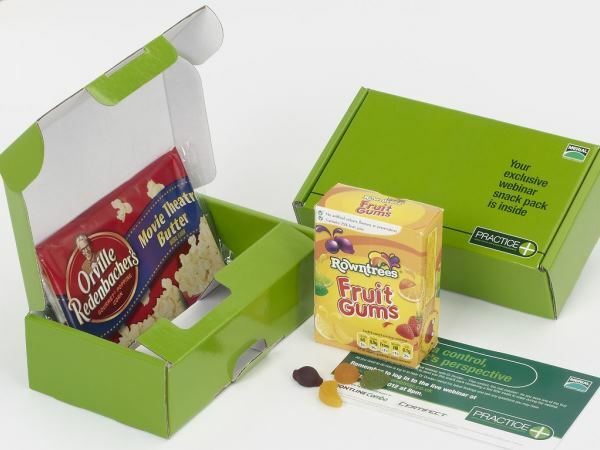 Merial (below) delivered a pack of microwave popcorn and fruit gums to the first 500 people who signed up for their webinar, a great example of delivering the perfect sweet-treat so appropriately. Sweets and chocolate delivered to almost anywhere is appropriate, unless you’re trying to sell to Dentists or Hygenists, then perhaps not…! Over to you on your target clients. Touched on already – this is a common problem – the campaign was for 500 people but the outers on chocolate bars meant you had to order 600… It doesn’t take anyone with too many brains to work out that there are 100 overs sitting around. It’s well-worth planning an office party, or how else you will use them up rather than have them sitting there going out of date, or heading onto the hips of your staff, groan! 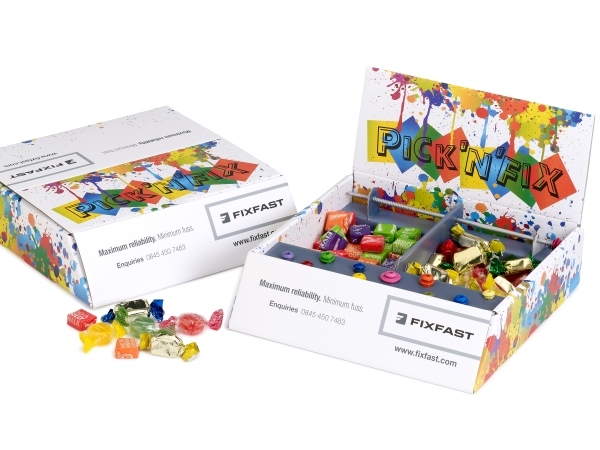 There are many promotional companies that can sell you all manner of confectionery, fudge, biscuits and other items branded with your company name. Imagine if you received a tube of BoxcoUK biscuits. You might well say “Are these OK to eat! ?”, after all BoxcoUK doesn’t make biscuits, and there’s a good chance that you don’t either! (So don’t go there!) When sending promotional biscuits or confectionery, depending on your target audience use a well-known, popular, or luxury brand. Your customers will have confidence in packaging they have seen before more than they will in your own brand product. The exception to this rule is if your own brand confectionery packaging has a secondary use, in which case it will be used for storing something unrelated (and your brand will be on it, rather than another). We hope you learnt something new and if you’d like to tell us about your experiences with food, good or bad, we’ll try and include your contributions to this blog post! Stay in touch by following us on Linkedin for more. Fixfast sell quality roofing fixtures…bored already? Try this Pick N’ Fix coloured screws launch pack, with a handful of sweets, for great marketing! Providing exclusive hampers – This mock-leather hamper was used to launch the new season’s brochure in straw, to match the catalogue, alongside luscious Stem Ginger & Dark Chocolate fudge! Chocolate Orange and matching orange stress balls designed to demonstrate how much less stressed you’ll be when you have solar-shading! What could your clients need more when they come to read your catalogue or brochure, this pack came complete with biscuits, mug, notepad and pen. To encourage attendance, the promotional pack was sent to the first 500 delegates to register. Microwave popcorn and fruit gums, for a night in! The world shopper insight panel reached a 30,000 members! This simple yet very effective marketing communication was produced to share the news, along with a pile of Viscount biscuits. New Clients Welcome Pack. 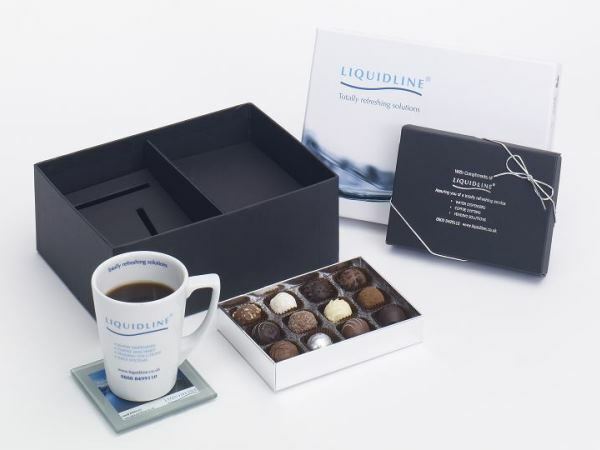 A luxury presentation box with ready to personalise coaster, branded coffee mug and a box of 12 Belgian truffles. 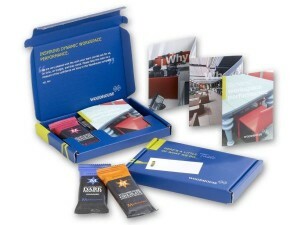 Inspiring dynamic workspace performance, using Woodhouse can make all the difference when it comes to taste…explained in a handy leaflet and delivered with Montezuma chocolate bar! Want to have foody fun with your brand…? Call us on 020 3011 0211. Are you being a Sweetie? You learn more from people, than books. Is a redesign in line? © Boxcouk. All rights reserved. BoxcoUK Limited - Company Number 09914284. Registered Office Address: 59 Turbine Way, Swaffham, England, PE37 7XD.